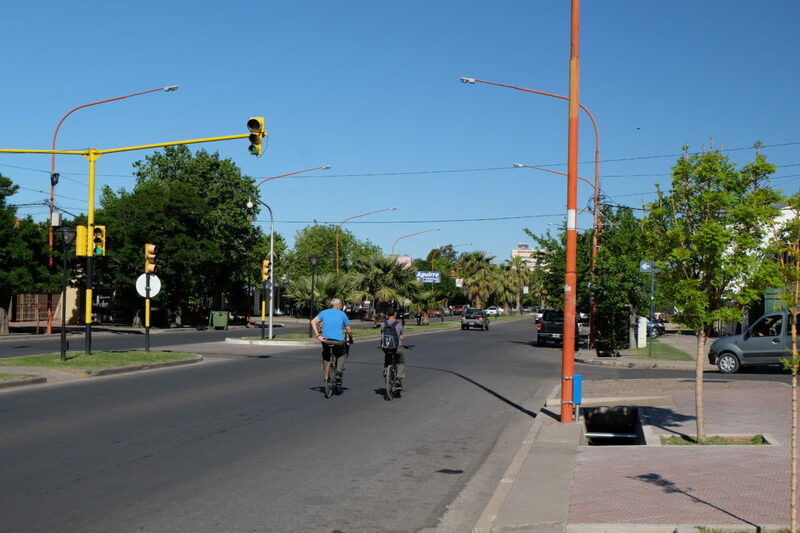 The ride in Mendoza was quite slow, with traffic lights and then a new multi-use path in Godoy Cruz that was already way to narrow for the people walking and cycling on it. 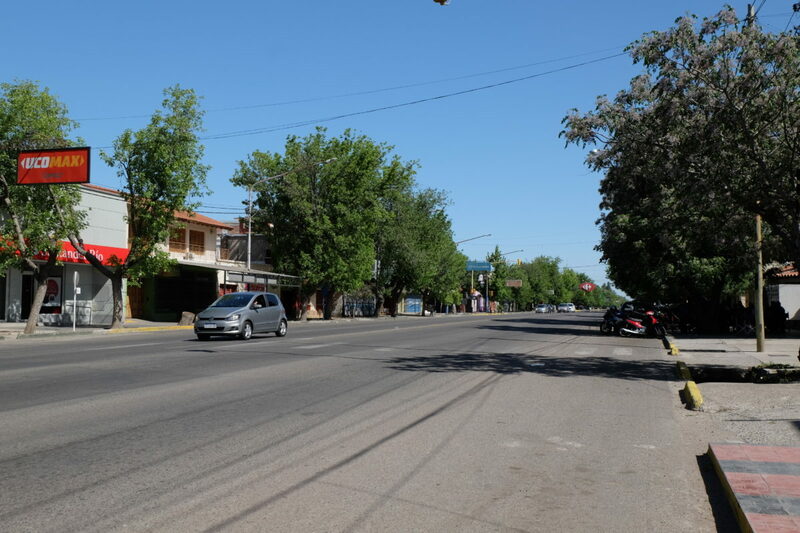 Mendoza has some bike infrastructure, but most of it falls just short of being really useful. 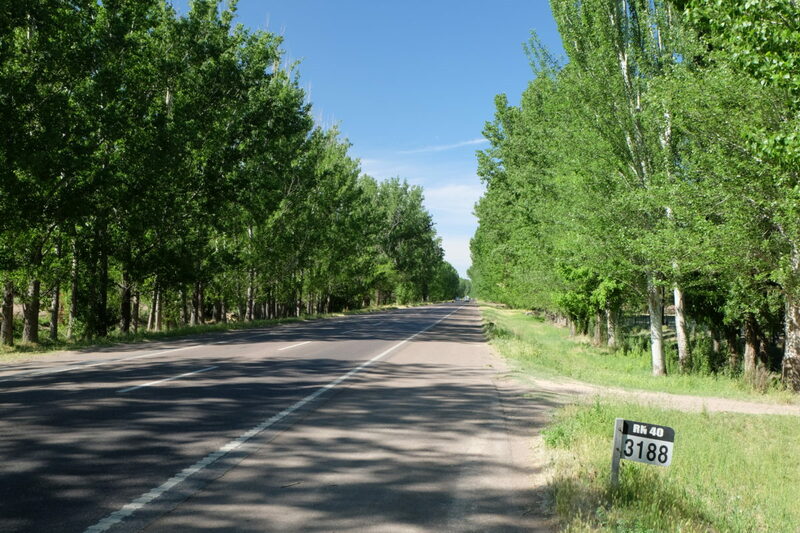 Then I made good progress on a nice tree-lined road running parallel to Ruta 40 for about 20 km to the town of Ugarteche, where a large street market was going on. 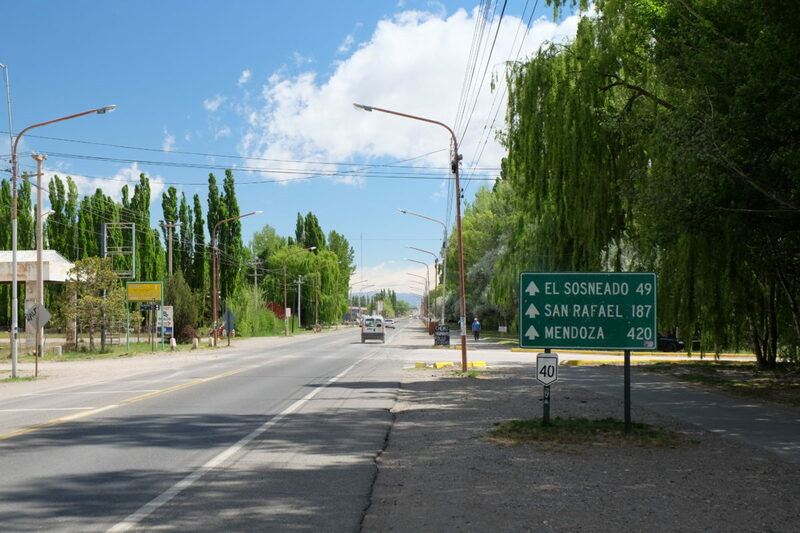 I had Bolivian-style soup with quinoa, potato and chicken for lunch here before returning to Ruta 40, which was still a motorway, but excellent riding on the shoulder. It wasn’t too hot, but the sun was strong as always. The weather reports are probably written by Marshall, as the UV index is 11 every day. 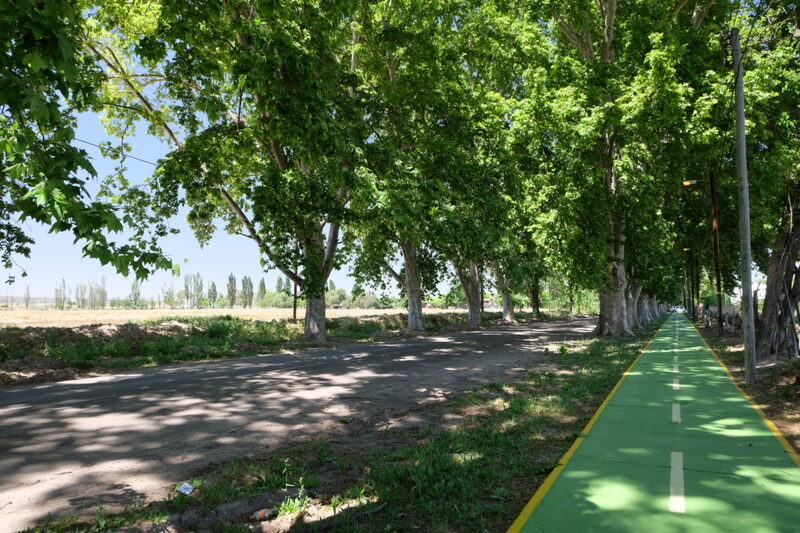 A bike path along a nice road out of Mendoza. Ruta 40 is off to the left. Cycling along the motorway most of the day. 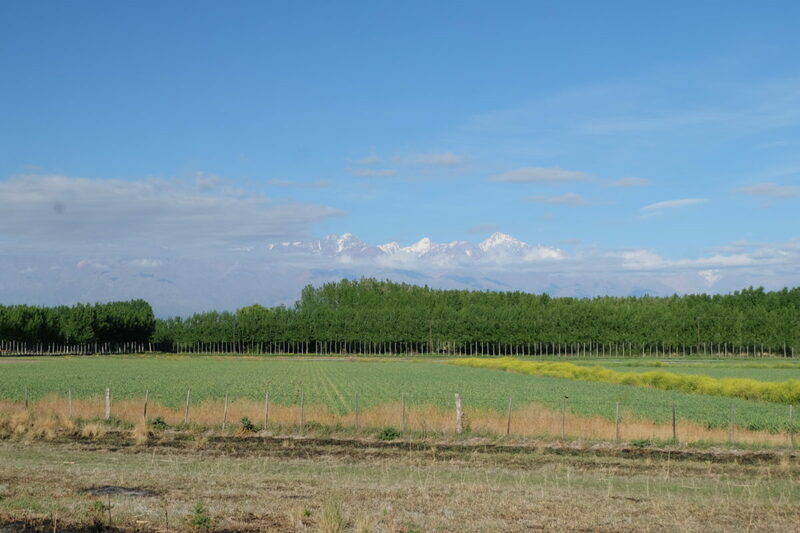 The motorway got me all the way to the outskirts of Tunuyán, where the road became a normal highway again. When I stopped at the corner of the central square a group of kids came running toward me. They wanted to know how all my strange contraptions worked before they let me go. After some searching I found a hotel, though I’m paying almost the same price as a double room. The price is great for a double, but for me alone it’s barely within my self-imposed budget. They forgot to pay their internet, so that’s not working. If my planned route works, which is still uncertain, I’ll also be offline for the next two nights. 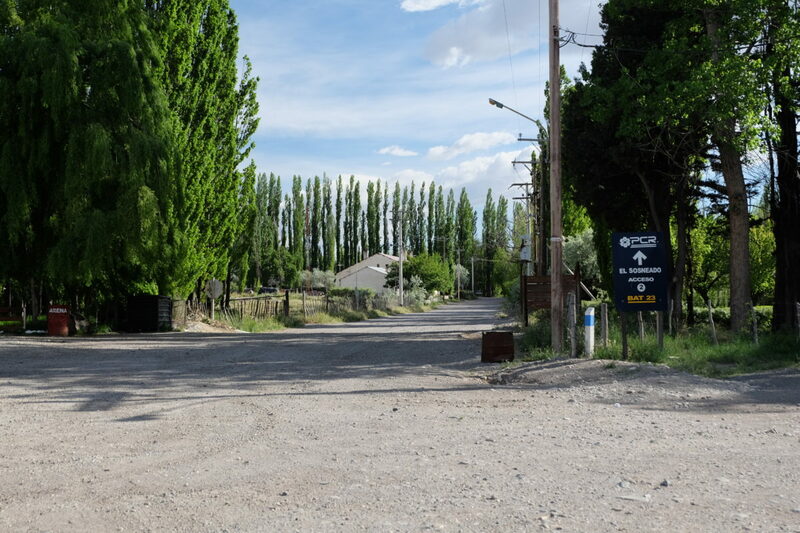 There are a few options to get to Malargüe from here. 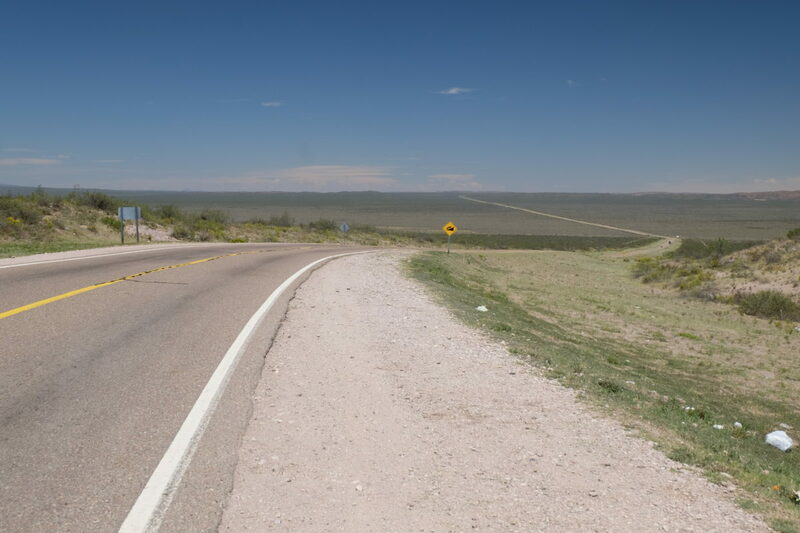 The first is to just follow Ruta 40, which is unpaved for a little more than 100 km, and according to others of bad quality. A new road is under construction, but unlikely to be finished anytime soon. You can follow that for a bit and then continue on Ruta Provincial 101, which also leaves the pavement for a while and is somewhat longer. 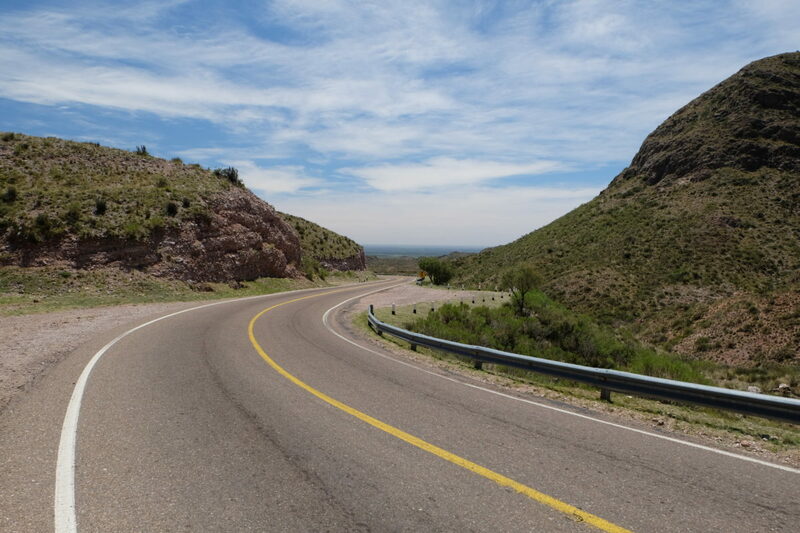 And then there is the option of going via San Rafael, a detour of about 100 km, but completely paved. 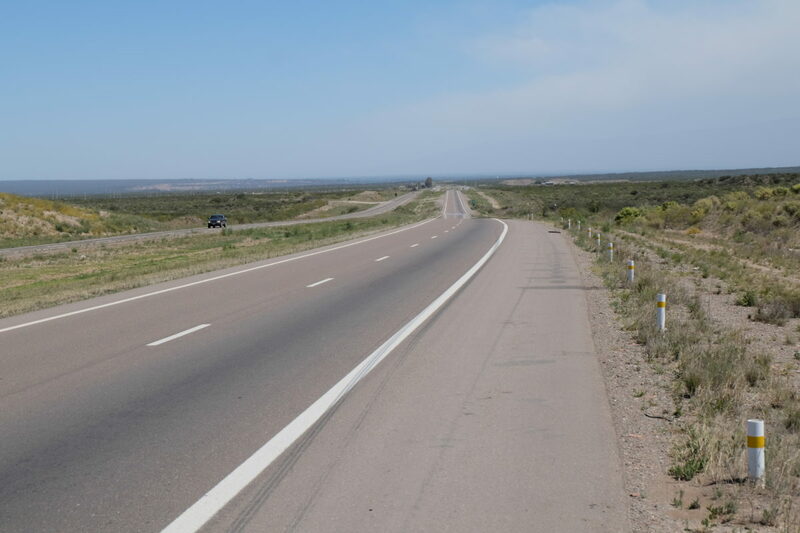 For now I’m thinking to just follow Ruta 40, it’s the shortest and most direct route to Malargüe. I should pay attention not to fall into the same trap a few other cyclists did before me, but I think I’ve got that figured out. On the streets of Tunuyán many people are hanging out on this nice Sunday evening. I enjoyed a good session IPA from Patagonia Cerveza, Argentina’s largest “craft” brewery. In general I’m pleasantly surprised by the beer here. In many places the choice is limited, but often there is a dark beer (e.g. Quilmes Stout or Salta Negra) that goes well with food like red meat and the pilsners are good too. In addition to local beer many places offer Stella Artois, Budweiser and/or Heineken, but I’ve only had to resort to the least bad of the three once. And of course all of it comes in one liter bottles, which is just perfect to accompany dinner. Ruta 40 is the main street of Tunuyán. People hanging out in the main square. Many more were there in the evening. On Monday I started early, as I decided to go via San Rafael, since that is the one route where you can’t take a wrong turn and which is known to work. If I don’t want to lose a day on this detour I will have to do the 153 km there in a single day. In hindsight I should probably have gone a little further than Tunuyán the previous day to make this one a bit easier. However, I didn’t know if there would be places to stay in the villages that followed. In every village up to and including Pareditas I saw signs indicating places to stay, so that shouldn’t have been a problem. Of course I updated the map to reflect this. I had snow-covered mountains to my right most of the day. 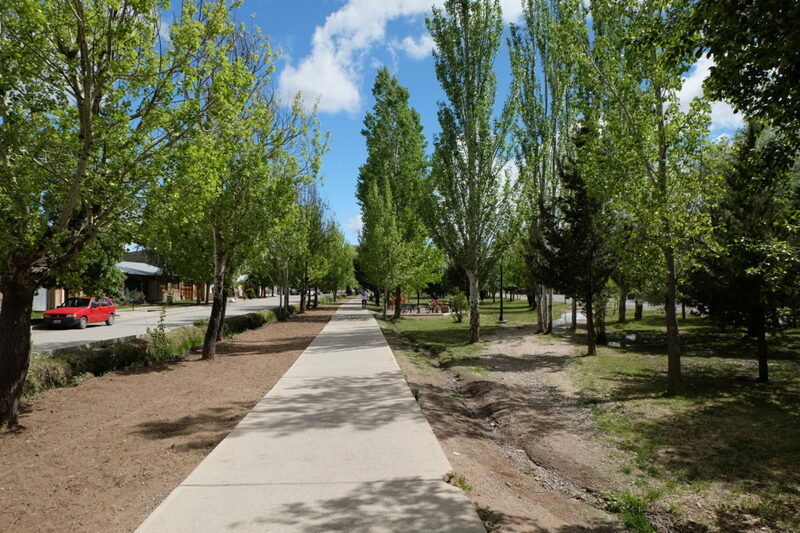 Initially the road was nicely shaded by trees. The ride shouldn’t be hard, a gentle climb in the first half and then an equally gentle descent to the city. I stopped for breakfast at a fuel station after some 20 km. After another stop at 40 km for drinks and ice cream I was ready to tackle the approximately 100 km gap. I was pretty tired by the end of the climb, but the downhill was very efficient at converting altitude to free kilometers. At the end of the downhill it was an easy ride into town on a nice bike path. But then the fun started for real. Ho(s)tels in this town are expensive! It took me over an hour to find a more or less reasonably priced one. I’m extremely tired now. Normally I would go on a walk of the town, but now I’m fine lying on my bed for a few hours until it’s dinner time. Entering San Rafael. 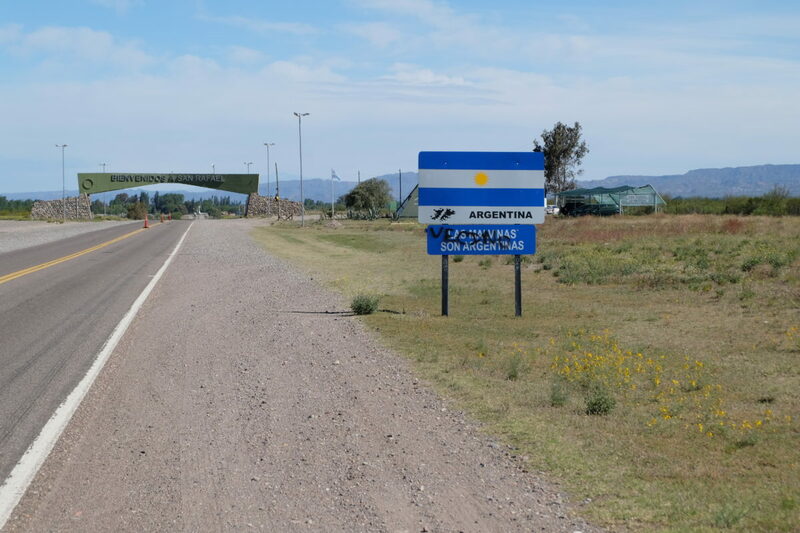 The sign on the right proclaims that the Falkland Islands (Las Malvinas) belong to Argentina. 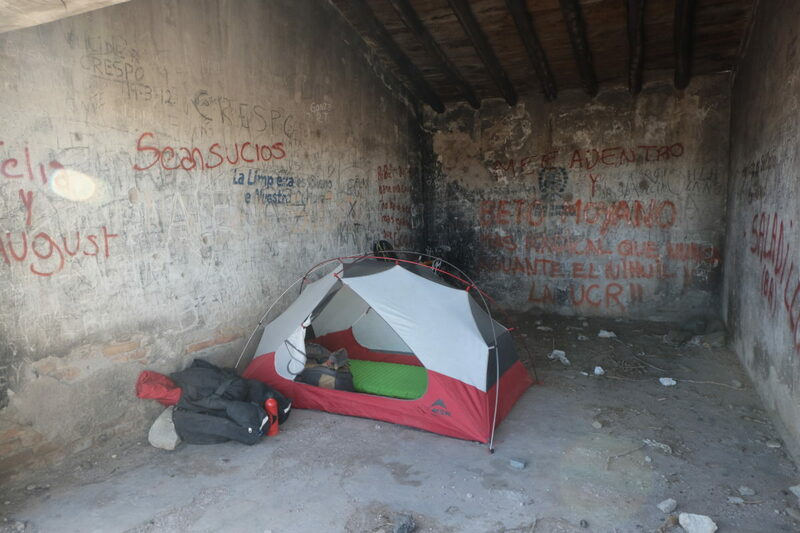 This was the first for me since the border crossing in La Quiaca, but there are many more of these to follow. Again I entered town on a nice boulevard. And then dinner time rolled around and I went looking for a restaurant. What the hell is up with this town? There is nothing in the center, not even at the main square. The first restaurant I walked into at the side of the highway was closed, at least that’s what the bartender claimed. At 21:30, when dinner time is just starting! I didn’t want to come to San Rafael in the first place, but even with my low expectations it manages to disappoint. There is one thing the city of San Rafael does well, and that’s building bike paths. As I was following the highway out of the city on Tuesday morning, another nice bike path appeared until I left the city. My legs were still tired from yesterday’s big ride and the road was climbing, so I was going slowly. Just as I was warming up a bit, a steep part started. It wasn’t very long, but in my current condition it slowed me down a lot. After reaching the top of that climb the climbing continued very gently. At 50 km there’s a nice roadside shop that also sells sandwiches. Not the overloaded sandwich milanesa or lomito, but simple warm bacon or salami sandwiches similar to panini. This is the only shop until El Sosneado, which I’m not going to reach today, so I had lunch here. Also here are two people working on a broken down truck and another truck stopped by so the passenger could get a refill on his empty beer. Looking back down the steeper part of the climb. Now this part looks a lot easier. A light tailwind had been with me for a while, but as I was sitting down it picked up a notch. Let’s hope that stays for a while. I’ve also gained 600 meters of altitude already, so that should put most climbing behind me. 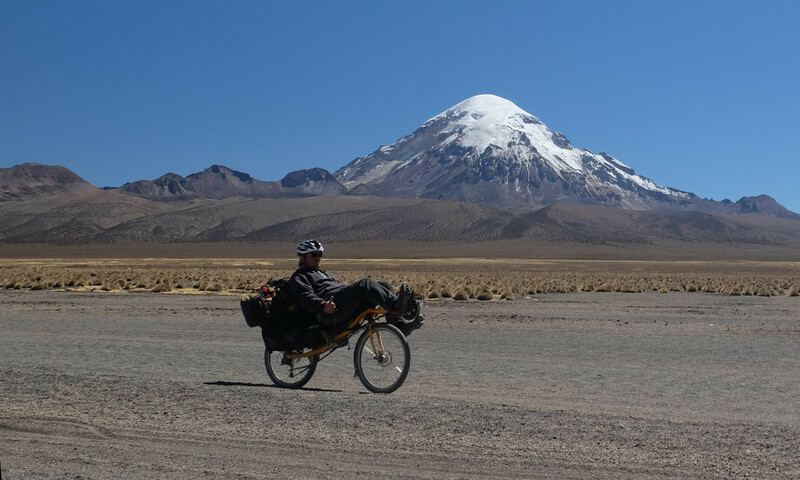 I want to get as far as I can today, so I have just a short ride into Malargüe tomorrow. The riding in the afternoon was indeed much better. The road was mostly level with a little up and down and I was enjoying the little bit of tailwind. I knew there was a good camp spot at 120 km and it looked like I was going to get there easily. Then at 100 km a huge crosswind from the north started out of the blue. On any other day I would have been happy with a strong northerly wind, but of course I get it exactly on the day I’m not heading south. With this kind of luck I’ll have headwinds in Patagonia, where the wind is “always” from the northwest. Anyway, the last 20 km were much harder due to this, but then I got to an official rest area. It has trees, but most importantly it has a little building that is open to the south and has a roof. I set up my tent inside, where there is absolutely no wind. And the location is actually pretty nice, with interesting views in every direction. If someone looks this way they might see me from the road, but most drivers just look ahead. And who cares if I sleep here anyway? Set up my tent in a little building. There was very much wind, so this helped a lot. I don’t have very much water left, but it should get me through the night. Tomorrow El Sosneado is only 20 km away and there is a shop there. From there it’s another 50 to Malargüe. 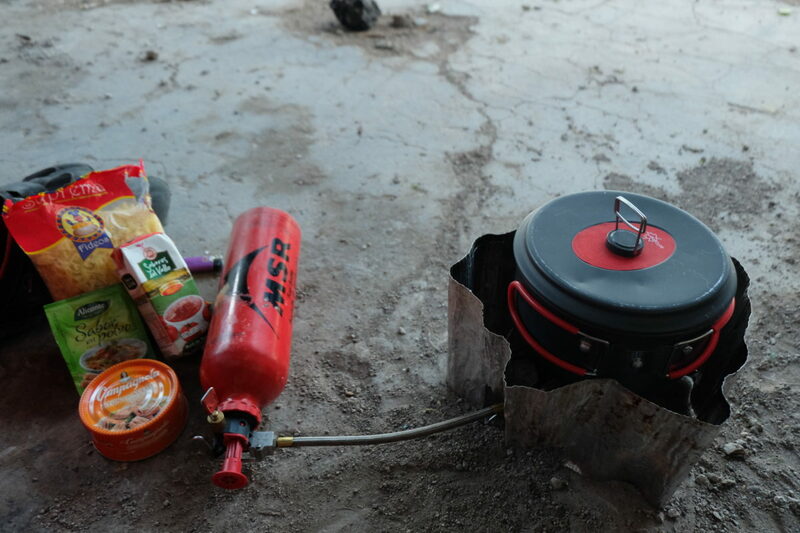 I settled on a fixed meal when wild camping. I cook pasta with as little water as I can get away with. 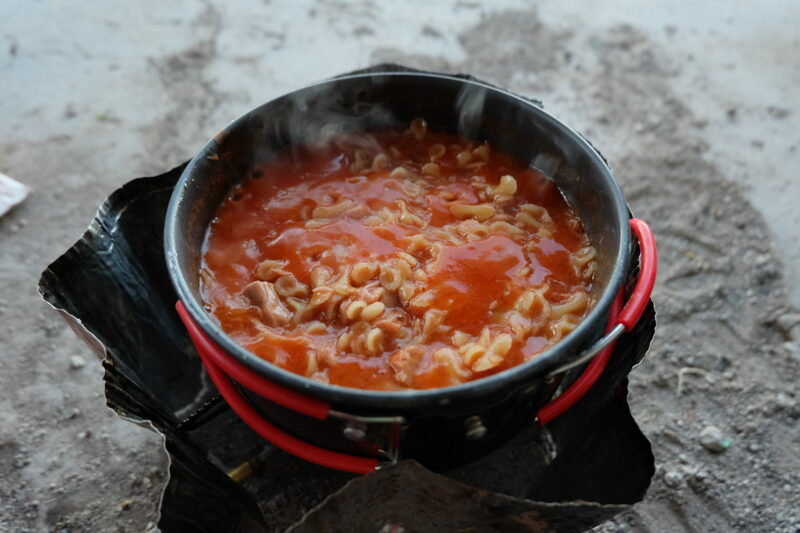 When the pasta has soaked up the water I add tomato puree, a packet of vegetable-flavoured powder and a can of tuna or occasionally meat. It’s super easy and fast to prepare using just one pan and it’s actually quite tasty. Also important is that all this stuff will stay good forever. I’m still carrying pasta I bought back in La Paz, though that’s almost gone now. With the little cooking I do any fresh vegetables would go bad before I got around to eating them. If this is missing any nutrients I’ll make up for it in the next town. Tonight is Halloween, so after dinner I went trick or treating in my bag. I had several kinds of candy left and I bought a chocolate bar this morning, so I had a good dessert. Starting to cook. All the ingredients are in the out-of-focus part on the left: Pasta, tomato puree, “Sabor en Polvo Verdura” and tuna. The finished product. It doesn’t look like much, but it’s good enough for me. In the morning I could hear the wind blowing and I soon learned that it was still from the north. I had breakfast and was playing some music in the meantime. When I had everything packed up and was ready to leave, Bob Dylan was singing “shelter from the storm“. I wish I had some of that, the line of trees north of the road didn’t really help. After 16 km of fighting the wind and climbing slightly all the way I got to El Sosneado and its shop, which includes a café and offers cabañas. It also has a large amount of souvenirs and I got myself a Ruta 40 bottle opener. I can’t take any large or fragile stuff, but this is just perfect. Looking north from my camp at sunrise. You can see the new Ruta 40 running left to right and there was construction activity on this end. 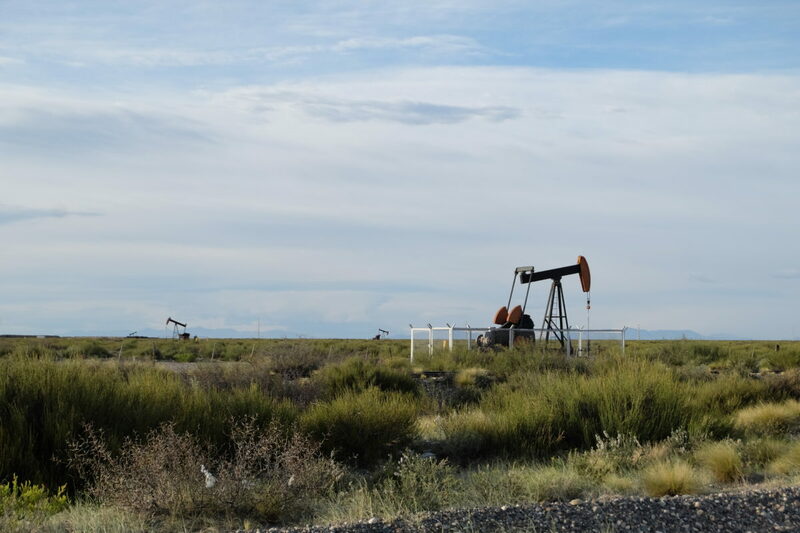 Many oil wells in this area. After this I went down a small descent to a river, during which the road turned south. So from now on I had the wind in my back most of the time. 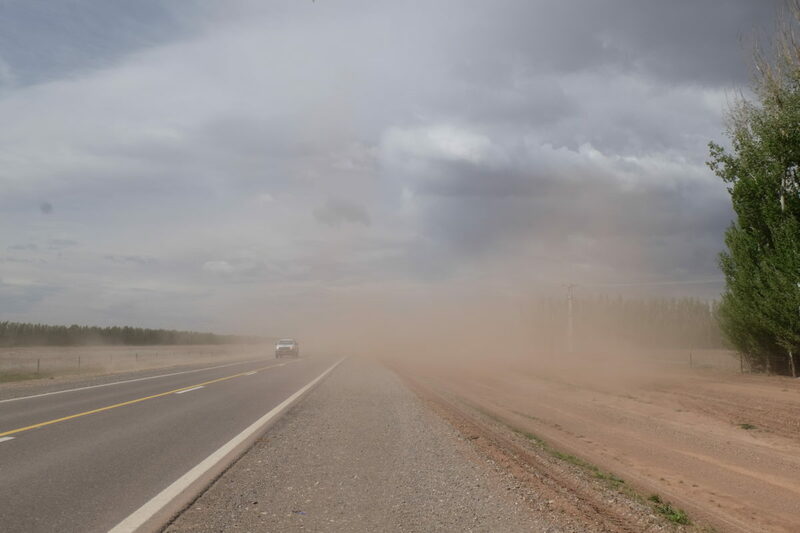 On the approach to Malargüe the road was hidden in a sandstorm. It was fine as long as I kept moving with the wind, but when I stopped to take a picture I quickly got sandblasted. The ride into town was otherwise uneventful. This is the part of Ruta 40 I skipped, rejoining the pavement in El Sosneado. I had already booked a place to stay, because I wanted to avoid having to look for a long time again. However, the place was nowhere to be found. I asked around and no one had heard of it. So now I had to find something else. All the hotels I tried were even more expensive than in San Rafael. As I was stopped in the street, a man approached me. He has an apartment that he rents out. The price was reasonable, so I accepted. Now I have my own apartment with two bedrooms, kitchen and everything. It’s a bit far from the center, but otherwise it’s very nice. 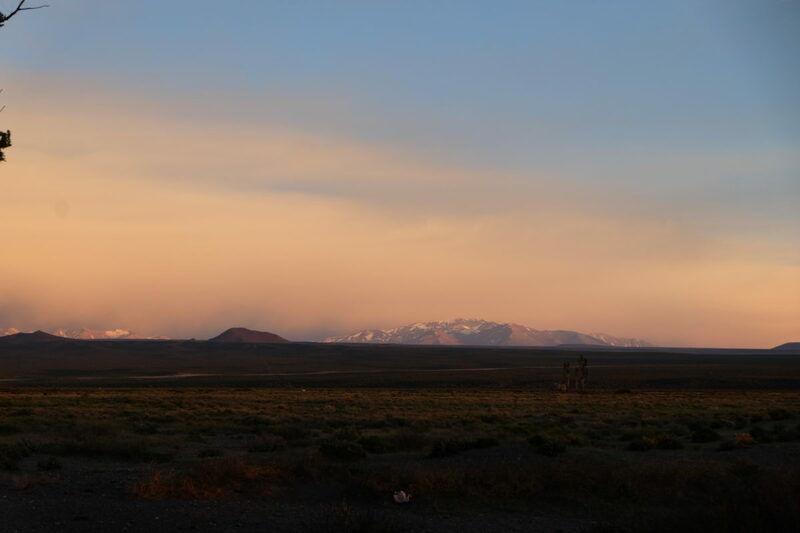 I will stay in Malargüe for a rest day. It’s quickly after the previous ones, but I’ve had some big days in between and this is the last larger town for a while. On Thursday morning I walked to the other end of town, where I visited the Pierre Auger cosmic ray observatory. I had already seen their detectors out in the field and here are their headquarters with a nice little visitor center. Nothing spectacular, but worth a short visit. Otherwise I took it easy. Some shopping and then I stayed in my apartment. 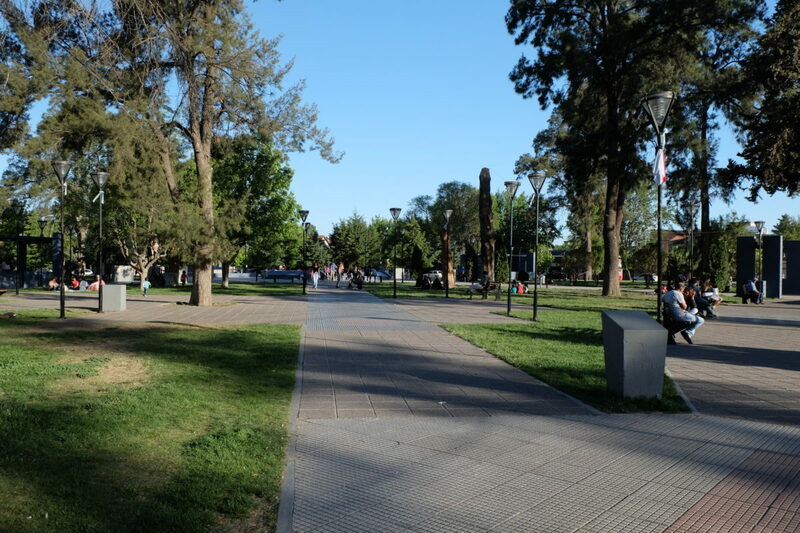 An elongated park in Malargüe. 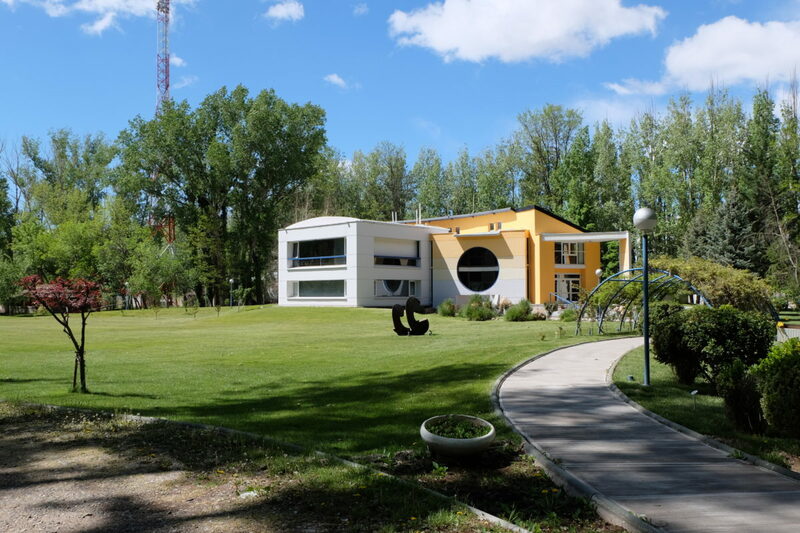 The institute of the Pierre Auger observatory. Distance covered: 438.3 km. Total so far: 2120 km. kaoke löktj aardig. Aafwasse ouch , zónger water ? Nae, det höb ich gister gedaon in mien apartement. As ich oet de woestijn bèn zal det allemaol waal get mekkelikker wäöre. Aafwasse, dae telder kinsse aaflekke…..
Wiezoea zooj ich ‘ne teijer gebroeke? Ich kan toch zoea oet ‘t kèlle aete?